Down the stretch of the preseason opener, Thunder Head Coach Billy Donovan went with an intriguing lineup – one that may see the floor come the regular season, but featured an eclectic mix of experience and youth, along with athleticism and savvy. Exactly what Donovan and company were looking for during preseason mix-and-match. 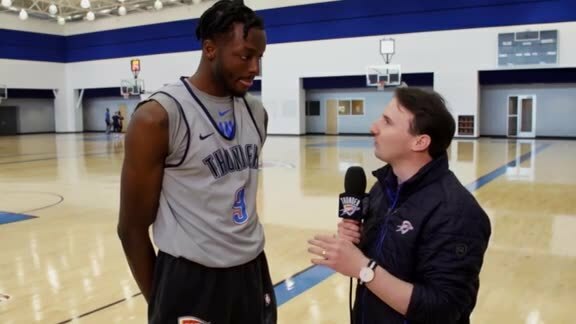 It was a Thunder group featuring a 14-year veteran in reserve point guard Raymond Felton, forward Jerami Grant, backup center Nerlens Noel and then 20-year-old Terrance Ferguson and 19-year-old Hamidou Diallo. Clashing against the Pistons' All-Star center Andre Drummond, a rising, physical forward in Stanley Johnson and few other veteran starters, the Thunder youngsters hung in there and made Wednesday's preseason opener a high-intensity, competitive battle for all 48 minutes. Ultimately the Thunder missed three solid looks down the stretch, while Drummond capped off a 31-point, 16-rebound effort in 34 minutes with an and-one layup, and Pistons guard Ish Smith drained a dribble up three with 17.4 seconds remaining that iced it. 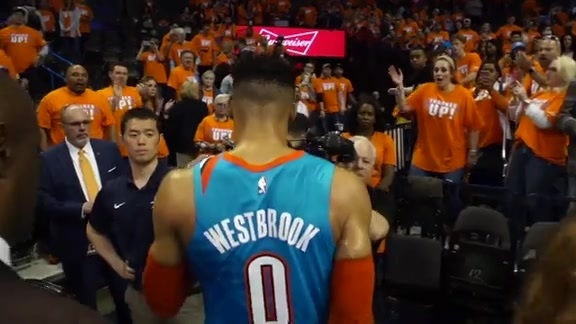 The Thunder fell 97-91, but the Chesapeake Energy Arena crowd was eager to see any kind of basketball for the first time in four months, regardless of the outcome. The final score was much less relevant than what happened within the four quarters, which is what the Thunder will be evaluating over the next 48 hours prior to its next game Friday in Minnesota. 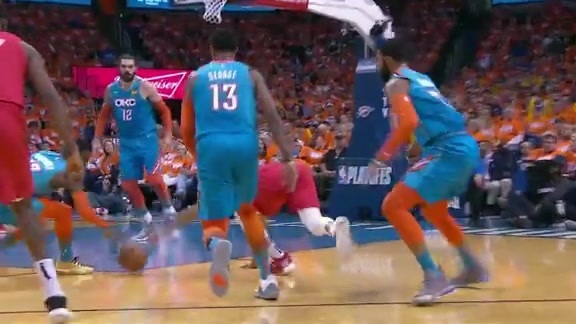 One aspect of the game that shined bright above the rest was the connection in the pick and roll between the Thunder’s own bruising center, Steven Adams, and Schröder. The opening minutes mimicked the start of the Blue and White Scrimmage last Sunday, as over and over again in the first half, Adams carved out space for Schröder via screens, only to find himself with the ball and easy scoring opportunities lying in front of him. Both Adams and Schröder played 26 minutes apiece, while the former racking up 17 points and 12 rebounds and the latter dished out nine assists to go with a team-high 21 points. The duo linked up six times for dishes from Schröder to Adams as they continue to build chemistry with one another. “I just try to read the pick and roll, do the best for the team and try to get open shots or open layups or open dunks,” Schröder noted. In the first half the Thunder’s defensive intensity and focus matched that offensive tempo, as it held Detroit to just 2-of-8 shooting over the first five minutes of action. As the half waned on, the verve and pep on both sides of the ball dissipated, and by the time the third quarter began, the Pistons were making an unencumbered charge with a 9-1 burst. It took until late in the third quarter, behind Felton and that funky lineup’s 7-0 and 9-0 spurts that helped the Thunder regain the lead. Felton buried a gutsy three-pointer and stripped Drummond to end the period, then dished out three straight assists in the fourth, all while unleashing the type of passion typically reserved for the regular season. The Thunder only know one way to play, and they displayed it tonight, regardless of the fact that the team didn’t have Russell Westbrook, Paul George or Andre Roberson. 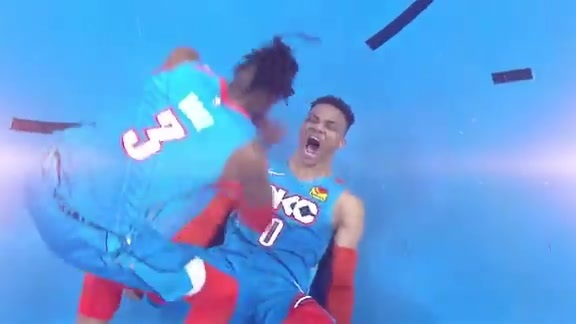 That mentality must carry over not just to the weekend, when the Thunder will play games two and three of the preseason, but into late October and beyond, when the team is fully healthy and the games count. “There’s a lot we can build off of as it relates to tonight in a lot of different areas,” Donovan said. 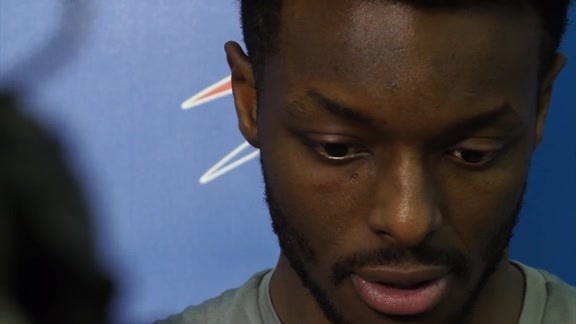 “For the first game there were some really good takeaways, but there’s also a lot that we can improve upon."